Android TV is different from Apple TV, which is a version of the Android operating system designed for digital media players. As a replacement for Google TV, Android TV features a user interface designed around content discovery and voice search, surfacing content aggregated from various media apps and services, and integration with other recent Google technologies such as Assistant, Cast, and Knowledge Graph. The Android TV platform is an adaptation of the Android OS for set-top boxes and as integrated software on smart TV hardware. The platform has also been adopted as smart TV middleware by a number of display companies including Sony, Sharp and VU TVs. 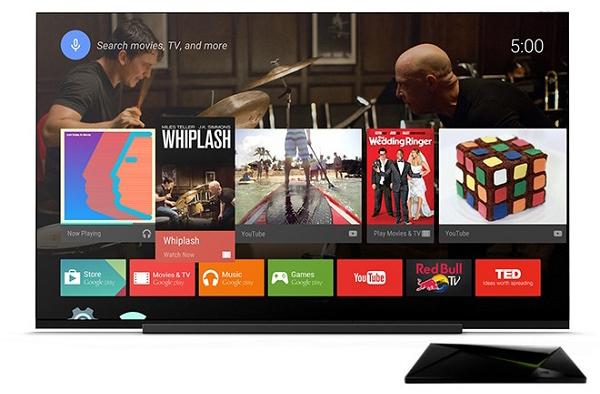 Android TV supports streaming videos from the hot online video websites like Netflix, YouTube, and BBC iPlayer. 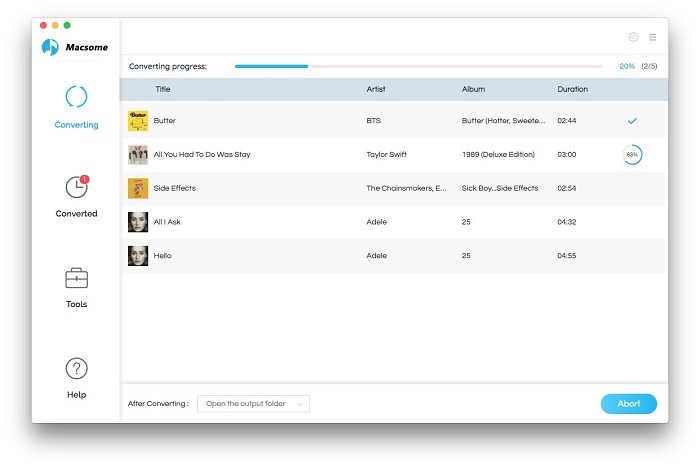 It also supports streaming music via Spotify, Google Play Music, Pandora, and your local music files. If you are an Apple Music subscriber, you will get troublesome. Apple Music is not the built-in App on Android TV, and you can't air the Apple Music contents from iPhone to Android TV as well. You can't play Apple Music on Android TV, why? So "I can't play Apple Music on Android TV, how to fix", the problem comes out. To help users to play Apple Music on Android TV successfully, users need to know why you move Apple Music playlist to Android TV at first. First, you know that Android TV doesn't built-in Apple Music App. Second, all the Apple Music songs, even you have downloaded them so as to play offline, you can’t move or copy or transfer them, because they are DRM protected. If you want to transfer Apple Music files to Android TV, you need to remove DRM first and then load the converted Apple Music files to Android TV with USB drive, or you can upload to Google Play Music. To simplify the procedure, we ask Macsome iTunes Converter to help us, which is designed to convert Apple Music songs and other DRM protected iTunes Audio files to MP3, AAC, WAV or FLAC with fast conversion speed and wonderful output quality. Meanwhile 100% original audio quality and ID3 tags will be preserved. Step 1. free download the latest version of iTunes Music Converter, install and run it. Please make sure that you have downloaded the Apple Music files which you want to convert, and they can work normally on your iTunes. Step 2. Click "+" to import the downloaded Apple Music files. Step 3. Click the setting icon to set the output format and output folder. If it is necessary, you can also reset the related audio parameters. Now the output formats include MP3, AAC, FLAC and WAV, you can just to choose a suitable one and set the other parameters according to your need. Step 4. 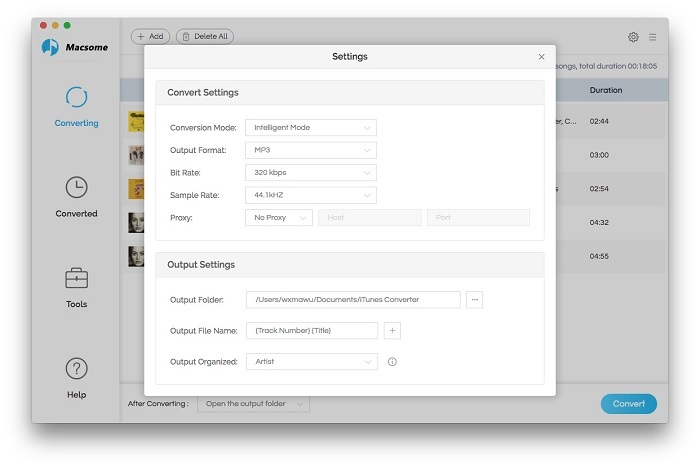 Click the "CONVERT" button to start your iTunes music converting. After you remove DRM from Apple Music files, now you get the unprotected music files and you can transfer them to your USB drive, and then plug the USB drive to Android TV via USB cable. Now you can start to navigate the Apple Music and choose a music player for playback on you Android TV. Step 1: Install Google Play Music web player (click control panel on chrome > More tools > Extensions > add Google Play Music) on your Google Chrome. Step 2: Go to the web player and click the menu bar > select Upload music. 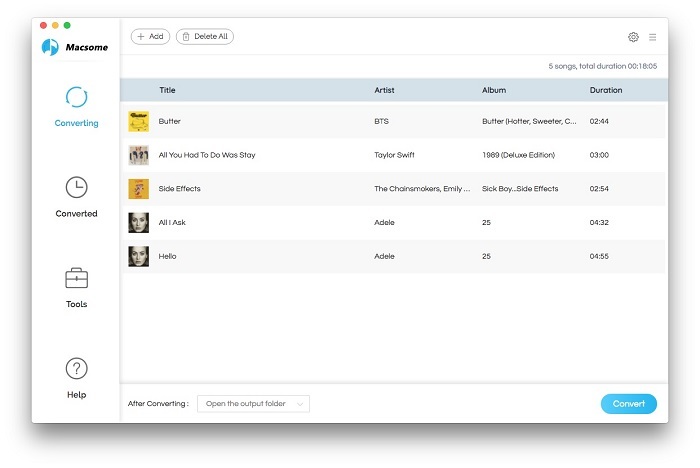 Step 3: Choose the converted Apple Music from local drive or drag & drop files. Step 4: Launch Google Play Music on your TV and click Setting button > Select your account > choose Sync to sync the Apple Music on TV. You can choose one method as you like. After this step, you can enjoy the Apple Music on Android TV with ease. Now try to do this by yourself.